Dorothy Pearl Cowan was born February 28, 1933 just northeast of Garden City Mo. She later as a child moved to what she called home to a farm north of Latour Mo. There, she attended school up to her sophomore year. During high school she played basketball, back when each team played 6 girls 3 on offense, 3 on defense never crossing half court. One of her teammates turned out to be a lifelong friend, Nellie Jane Hyatt Hutchings. Dorothy left high school early to marry her lifelong husband Perry Richard Ayler, on December 21,1949. This union lasted until his passing October 12, 2018, almost 69 years later. They had 6 sons and a daughter. From the day she got married Dorothy put everyone ahead of herself. Everything she ever did was to make her family’s day a little better. Even though work was never ending she always had a smile. Her patience was nothing short of amazing. To her, life was always good. Dorothy always loved the garden, she could grow anything, animals loved her as much as she loved them and like so many moms, she could cook anything and make it taste great. We are going to miss her. Besides her parents and husband, she was preceded in death by 3 brothers, Charles, William and Gene Cowan. Dorothy is survived by 6 sons, John (Jackie) Ayler, Eudora, Kansas, Bob (Tammy) Ayler, Holden, Missouri, Jerry (Sharon) Ayler, Garden City, Missouri, Steve Ayler, Urich, Missouri, Frank (Maureen) Ayler and Dennis (Sandy) Ayler all of Creighton, Missouri; a daughter, Kathy (Victor) Mueller, Creighton, Missouri; 22 grandchildren; 42 great-grandchildren; a sister, Marie Bohannon and husband Paul, Holden, Missouri; a sister-in-law, Francis Cowan, Harrisonville, Missouri; other relatives and friends. 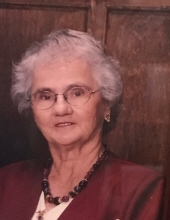 Funeral services were held, Friday, April 5, 2019 at the Heart Of Life Church, Garden City, Missouri with burial in the Elm Spring Cemetery, Elm, Missouri. Family suggests memorial contributions may be made to Crossroads Hospice. To plant a tree in memory of Dorothy Pearl Ayler, please visit our Tribute Store. "Email Address" would like to share the life celebration of Dorothy Pearl Ayler. Click on the "link" to go to share a favorite memory or leave a condolence message for the family.